Now that I am getting good at making juice, I’ve started to try out my own concoctions once a day. Today it was my own version of a V8 without any added sugars or salt. Now I’m not sure if my taste buds have just gotten used the taste of vegetables, but I really liked it. If you try it out, please let me know your thoughts. I’m going to be using this recipe after I am done my thirty days. This should give you a good idea of how much I used of each. 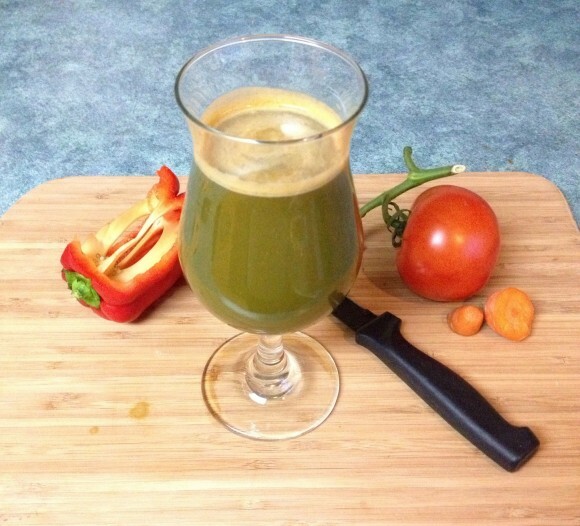 Only vegetables and herbs are used to create this juice. No added salt or sugars. Juice all items in a juicer and serve. 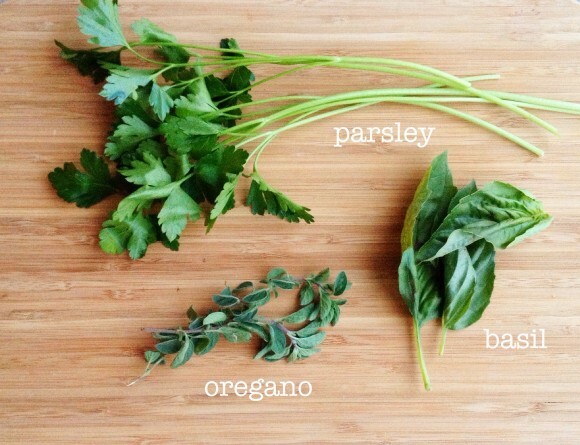 I found it easiest to combine herbs together with my spinach/kale mix and juice as a bunch. Disclosure: I received the Breville Juicer from London Drugs to review and facilitate posts like this. The opinions expressed are my own and are not influenced in any way.